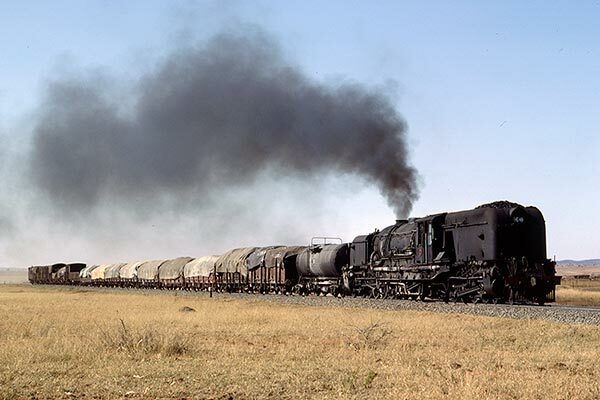 Caption - South African Railways (SAR) GMA class Garratt heads a freight north of Vryburg on the line from Warrenton to Mafeking in August 1982. At this time GMA's were replacing 19D's on most of the traffic avoiding the need for double heading. Class 25's were also seeing their first regular work on the line.